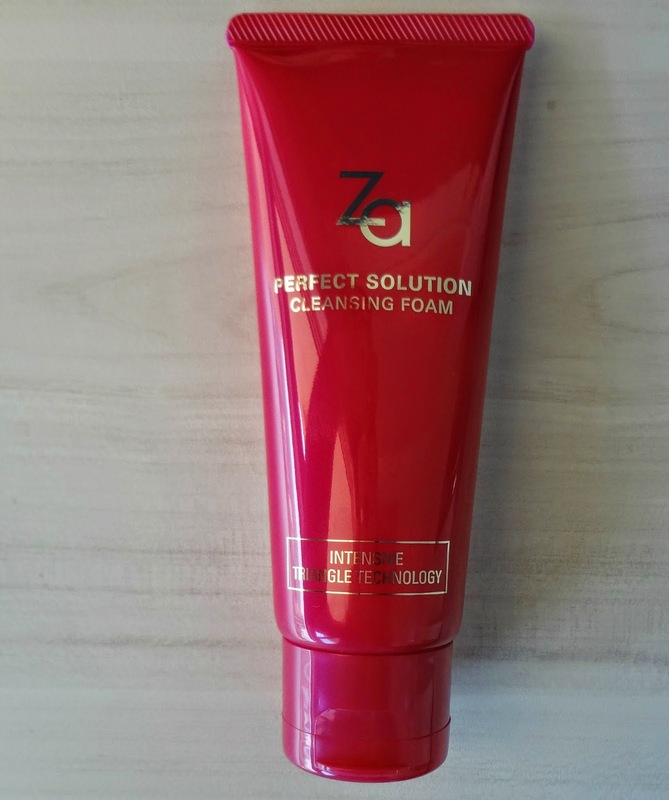 I was bowled over by the ZA Perfect solution Restoring Collagen cream as you read in my review here. I was naturally curious to try the entire PERFECT SOLUTION range. This foam comes with the same fuschia packaging which is so beautiful and catchy; now lets see if the product inside was impressive! This Cleansing Foam has a rich, resilient lather that permeates into the skin to gently remove impurities and make skin feeling plump, firm and glowing. Removes excess surface cells to give clear, radiant and soft skin. Squeeze a small amount onto your palm and add warm water to create foam. Massage gently over face in circular motion. Rinse thoroughly. All product lines from Za are exclusively available at Shoppers’ Stop, Central, New-U, Health & Glow in Mumbai, Delhi NCR & Bangalore. A small pea-sized amount is required to wash the face. 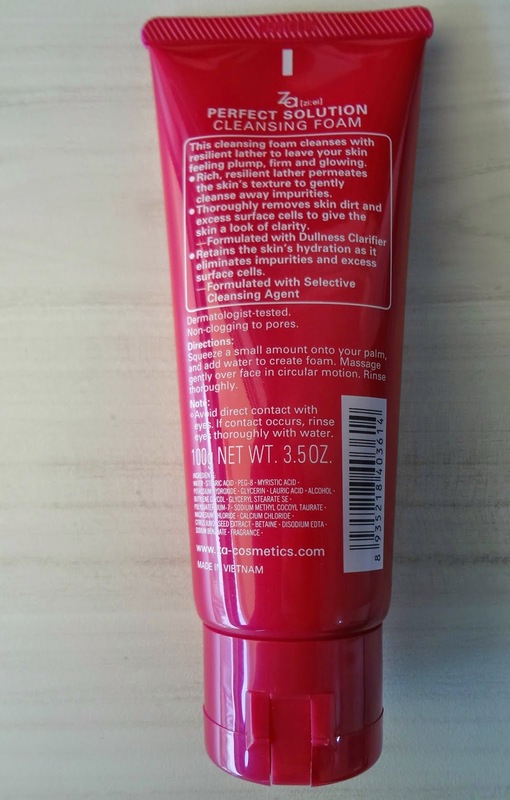 It is a cream-based foaming facewash . Personally, I find foaming face washes very drying even for my oily skin as its important to keep the face hydrated and moisturised even if its oily. This face wash left my skin feeling fresh and clean however I felt it was drying my skin. I immediately felt the need to use a moisturiser . I therefore opened the Global ZA website and found out the usage. 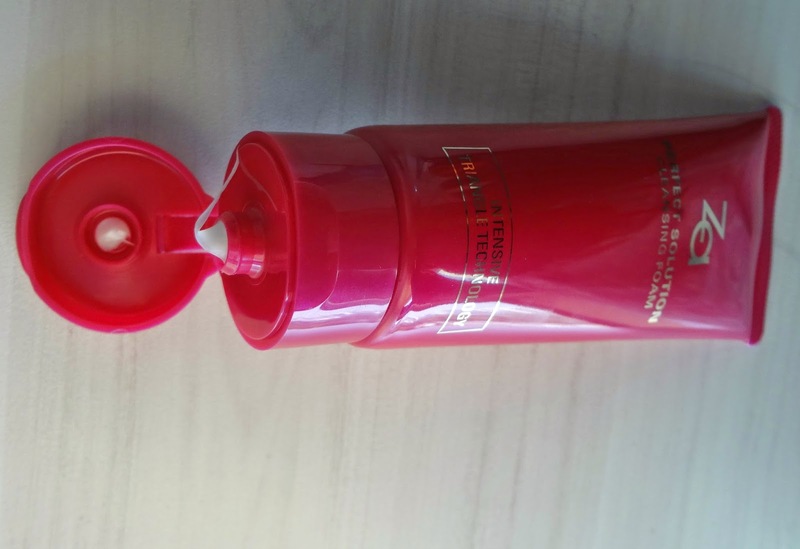 As you can see in the image below, the usage is face wash followed by toner and the moisturiser ,sealed with the collagen cream. I luckily had the moisturiser which is Elle Beauty awards winner for 2014. After that I felt my skin was finally feeling good. So , for me this delicately scented face wash will work only if I follow it with a moisturiser or else it is mildly drying. I have seen other people with just the opposite opinion however, you can only try it yourself to judge if it works for you. As for the anti-ageing bit, I strongly feel the Za collagen cream is my best friend and I could live solely on that. About the face wash's effectiveness to fight the anti-ageing process we might have to stick to the 4 step process to know the real results. The 100 ml tube will last a good 3 months with an extensive usage (Ideally twice a day is enough). This face wash is part of the Perfect solution range and the recommended usage as per Za's global website is explained in the image below. I will advise trying the face wash followed by a moisturiser. You are back with yet another fab giveaway!!!!!! Really wish to win this n thanks alot Ila Mam..
And Oops, forgt to say Thankqooo for this #Giveaway! Hey!! Did I just drop in here by mistake? Or no may be, I know I am a boy but I found this giveawy extremely good! I want to gift this Za prouduct to my lovely sister. So it will be a surprise for her if I win it and gift it. I am finding it weird amongst all the ladies I am the only guy, but this is just and just for her. Wish to win this fab #ZaGiveaway from you..
Yaay! Thank you so much Ila. I won I won :* Woo-hoo!